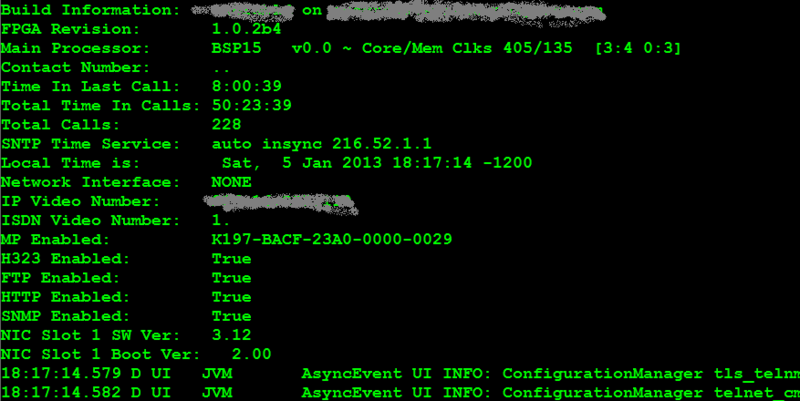 InfoSec Handlers Diary Blog - What Else runs Telnets? Or, Pentesters Love Video Conferencing Units Too! 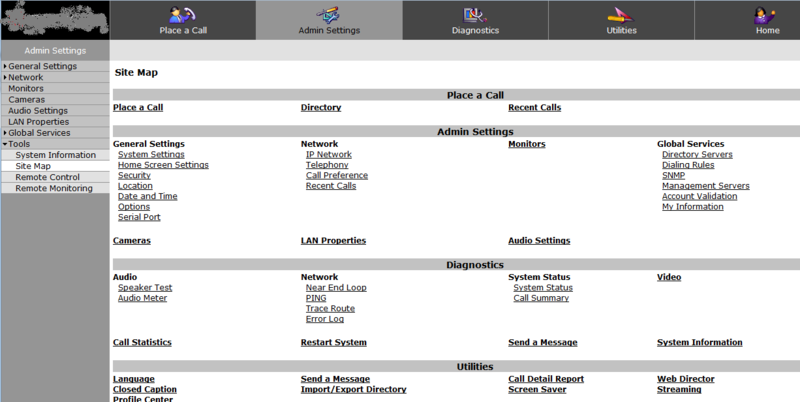 SANS ISC: InfoSec Handlers Diary Blog - What Else runs Telnets? Or, Pentesters Love Video Conferencing Units Too! As a side note to today’s iSeries / Mainframe story, and a follow-up to one I wrote last year (https://isc.sans.edu/diary/12103), another thing I’m seeing is more and more on telnets (tcp port 992 - https://isc.sans.edu/port.html?port=992) is voice gateway and videoconferencing unit problems. Helpful indeed, looks like we've got full admin access, with no credentials! But from that first terminal screenshot, we see that an HTTP website is enabled, maybe things will be easier if we try that? From the screenshot below, we see this host gives you all the same admin information and rights as we had on the terminal session, also without a password! What leaps out at me from this screenshot (aside from the vendor and model number ,greyed out in these examples) is the firmware date (2006), and the “remote control” selection, which does exactly what it sounds like! And yes, you did see “Place a Call” in that last screenshot! This particular option can add up to real dollars very quickly - there's an active community of folks stealing and reselling long distance service from units like this! Note also, the install date and firmware date are the same (2006). This is one *vintage* videoconferencing unit. For some reason, people seem to think that maintenance of IP voice gear involves cleaning products rather than firmware updates! As long as the unit is shiny, it must be fine! Scan your own perimeter. In fact, scan your own internal network also. There was no reason for you to wait for a paid security assessment to find the easy stuff like telnet interfaces open, admin interfaces with no credentials or default credentials, or SNMP open with default community strings. We’d much rather find the fun stuff (problems in websites for instance) than easy stuff like this. Never trust documentation when the vendor docs tell you what ports need to be open to a host. I can't tell you how often I see vendors insist that they need inbound port 25 to *send* email, or inbound 53 to make DNS requests (both are incorrect of course). Patch. Your VOIP gear - the PBX, the phones, gateways, all of it, are really just a collection of computers. If you don't patch them, they will be exploited - VOIP gear is a real target these days! 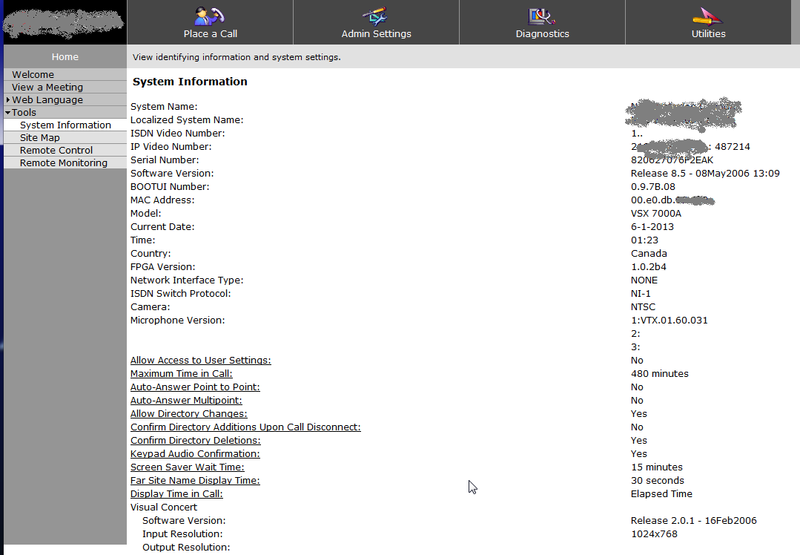 The difference between exploits in your computer network and voice network is that when your VOIP gear is exploited, it will show up as a large long distance bill at the end of the month. Hopefully your accounting group will see this as a problem, rather than just paying the invoice when this happens!